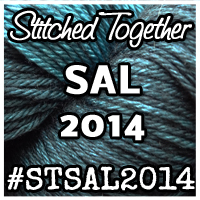 Well, another week has passed of the SAL. We even have entries in the Finished Objects thread, which I find incredibly exciting. One thing I don't think I specified overtly is that you can only enter once for the prize drawing. 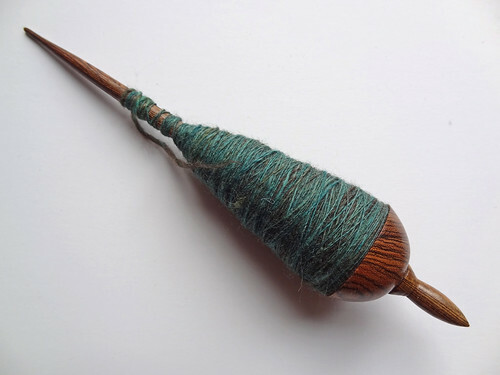 There are many new spinners who are taking part and lots of people are using spindles, it seems unfair that those of us who use a wheel should have an advantage over those of us who don't. Therefore, I'm afraid you can only enter one spinning project for the draw. I think I'm going to leave any entries in the thread that you post or have already posted, even if they are further entries, but only one will count for the draw. I think I'm going to make a spreadsheet for entries anyway, so it's no hardship to do that. Another thing I've found exciting about this SAL, is the large quantity of people who are fairly new spinners. They are asking questions and people are helping and the Chat Thread is everything I hoped it would be. Please come and join in, I think you will be inspired by the participants. 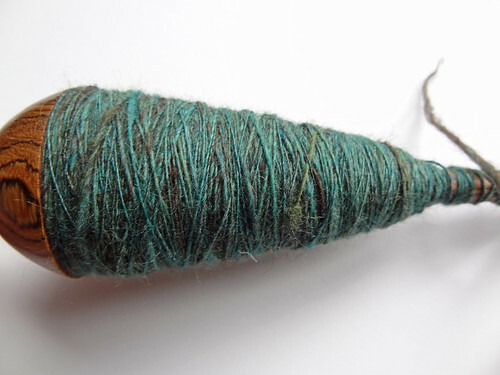 I've had a fairly low output this week on my own spinning project. I think I've spun around 4-5 punis in total. This is what I have so far. I think I might be able to fit one more puni on before I have to wind off the cop. I have 13 punis left to spin and I'm kicking myself for not dividing them all up by weight before I started. I shall have to work it out after I wind it off and weigh it. As you can see, the last few meters of singles spun are a bit scraggly. I think I may try evening them out a little before starting the next puni, because other than that, I've stayed fairly consistent. The yak parts are a little harder to managed than the other fibres, because the staple length is so short and the single breaks quite easily at those points, unless I'm careful. It's a great learning experience though. I hope you are making progress and enjoying yourself too. If you have a blog post relating to your progress, please link up below. If you can't see the link up button, you may have to "allow the script to load". In Chrome, for example, there is a little shield in the address bar that you need to click.